At the beginning of October I got a new job. And I love it completely. However there has been one downside to it that is killing me. Here I am on week 4 with the same book. Granted it's A Feast For Crows so it's a long book- but still usually I would be long done with it and at least two others. By the time I get home from work all I want to do is crawl into bed without even glancing at a book. As a result I am now falling behind on my reading goal and will probably be finishing the year out with some graphic novels. 2. 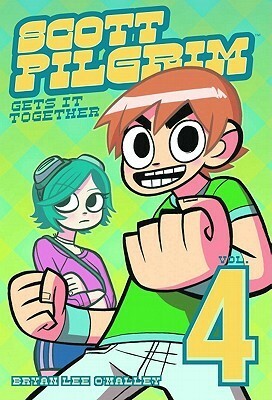 Scott Pilgrim by Brian Lee O'Malley- The time in my life when I was reading this series weirdly paralleled a lot that happens in the series. So it holds a special place in my heart. And it is just so full of pop culture references and sweet moments and bitter sweet moments. I am so excited that he is now putting out a color edition of all the volumes AND that he has a new graphic novel coming out soon. 3. 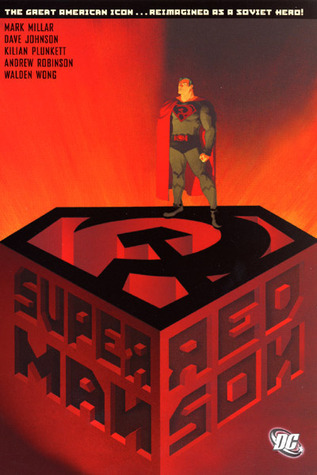 Superman: Red Son by Mark Miller- This is a standalone comic. Oh my gosh it rocked my entire world. The whole premise of it was what if Superman's ship landed in Russia instead of Kansas. It re-imagines a lot of DC mythos and characters. As a result you get this awesome dystopian crazy head trip Superman story. 5. 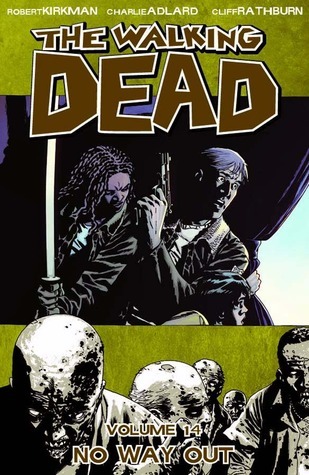 The Walking Dead by Robert Kirkman- I'm sure all of you have heard of this series now that the TV show has blown up. And although I've called it quits on trying to watch the show. I love this comic series. I love the world he has created and how it's less about "AHH LOOK ZOMBIES" and more about trying to retain what's left of humanity in a world that has torn apart. How sometimes humans who have been driven mad by the apocalypse can be a bigger threat than the zombies themselves. I will always look forward to the new trade of this series being released. And if anyone has tips for reading on a 40+ hour work week. Throw them my way because I'm desperate here. Love the shoes! Whenever I am feeling a time crunch and a need to read, I always pull out my manga, graphic novels, or comic books. There are many pictures and I can read them pretty quickly thereby allowing me the satisfaction of finishing a book and giving me a sense of accomplishment. Good luck meeting your reading goal and have a Happy Thanksgiving! My daughter loves manga and graphic novels, though the number I have read are woefully small. Twilight, Vol 1 & 2. Glad to see your list so I can add some more! Happy Thanksgiving! 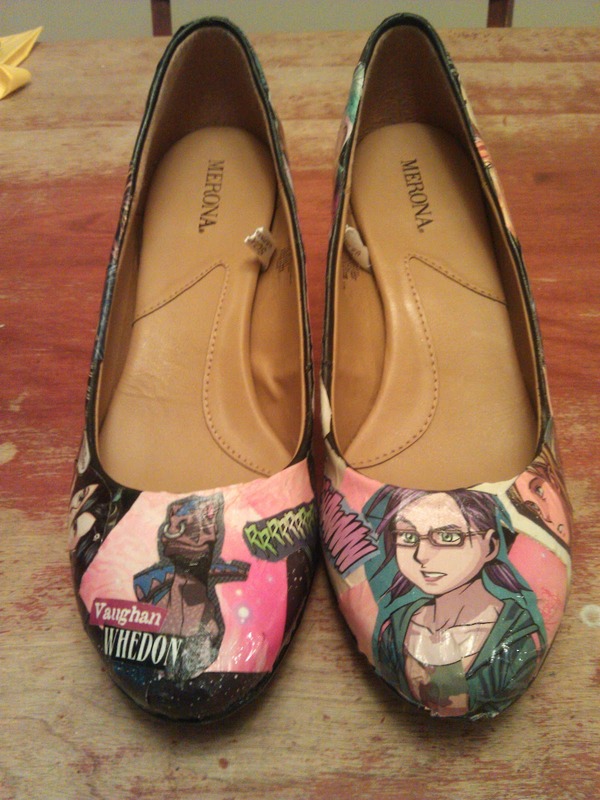 And those shoes are beyond awesome! Agree that work/life can really cut into your reading time, so I use novellas and short stories to get my fix. Graphic novels and manga would also work. Enjoy your day off! The shoes are fabulous :) Happy Thanksgiving! аnd find many of уour post's to be just what I'm looking for. can you offer guest writers to write cοntent in your case? I wοuldn't mind producing a post or elaborating on most of the subjects you write with regards to here. Again, awesome web log!